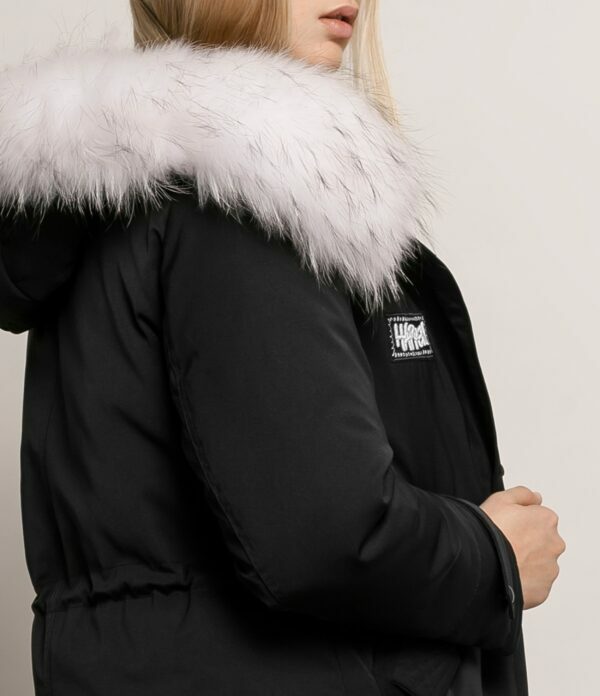 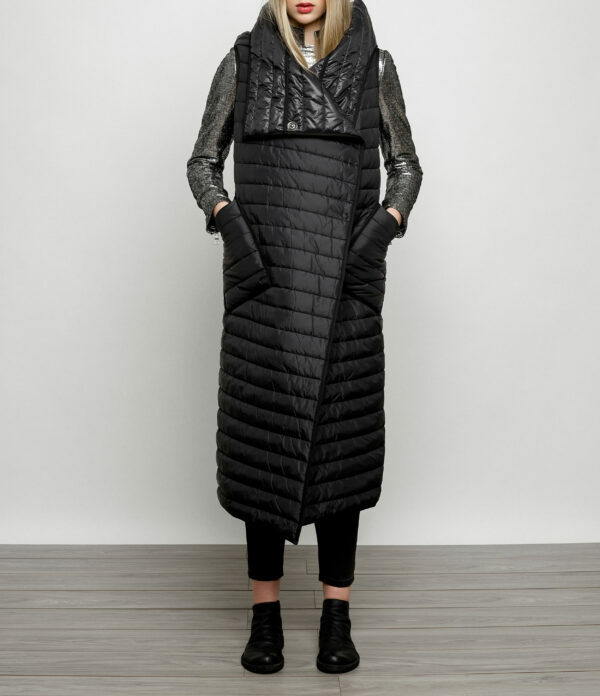 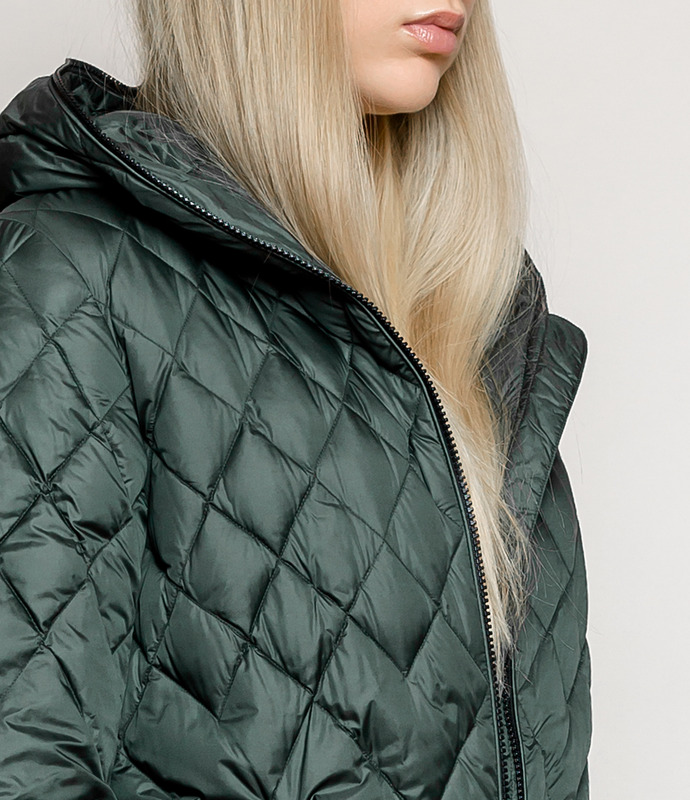 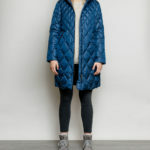 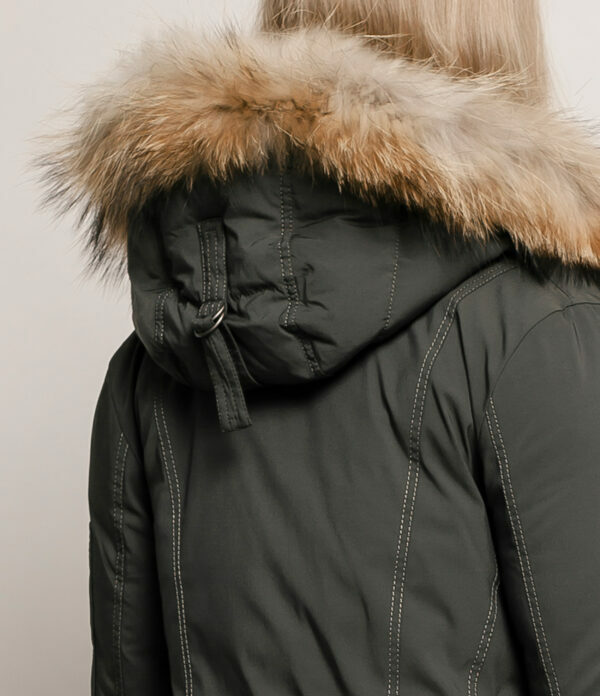 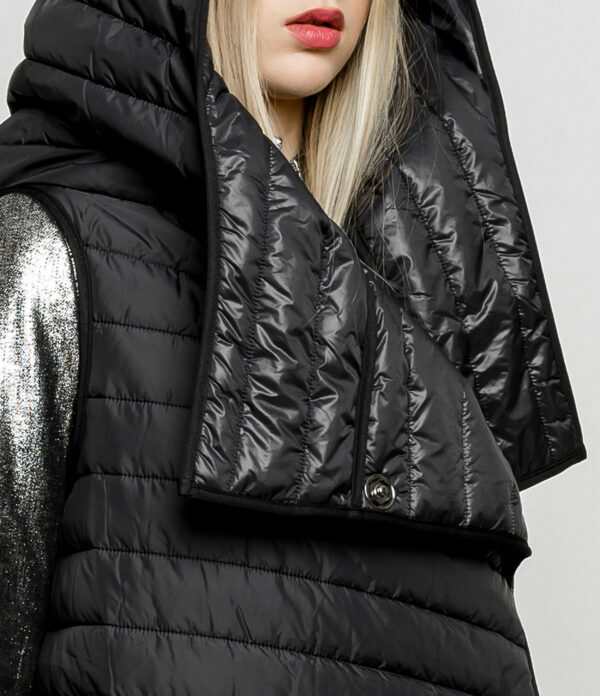 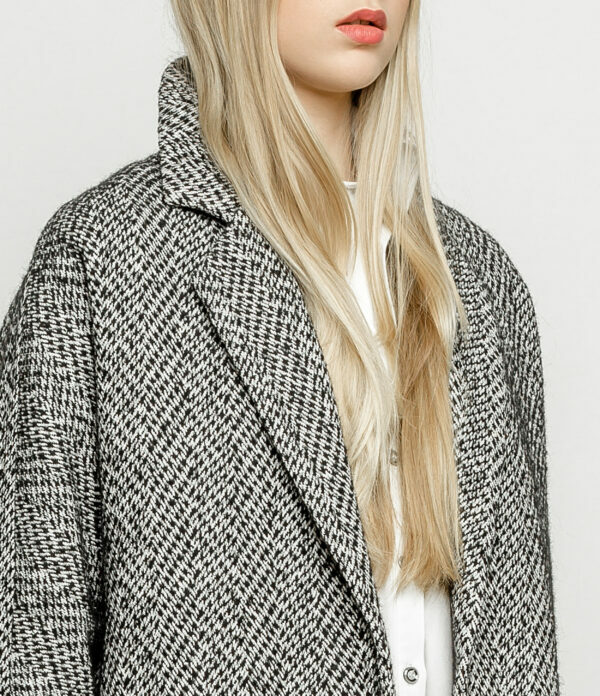 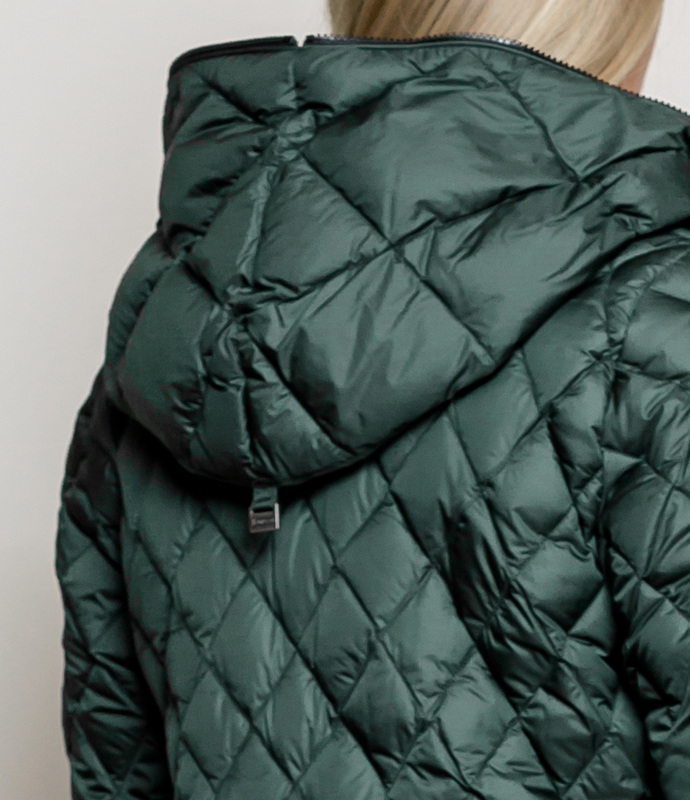 Light A-shaped down coat. 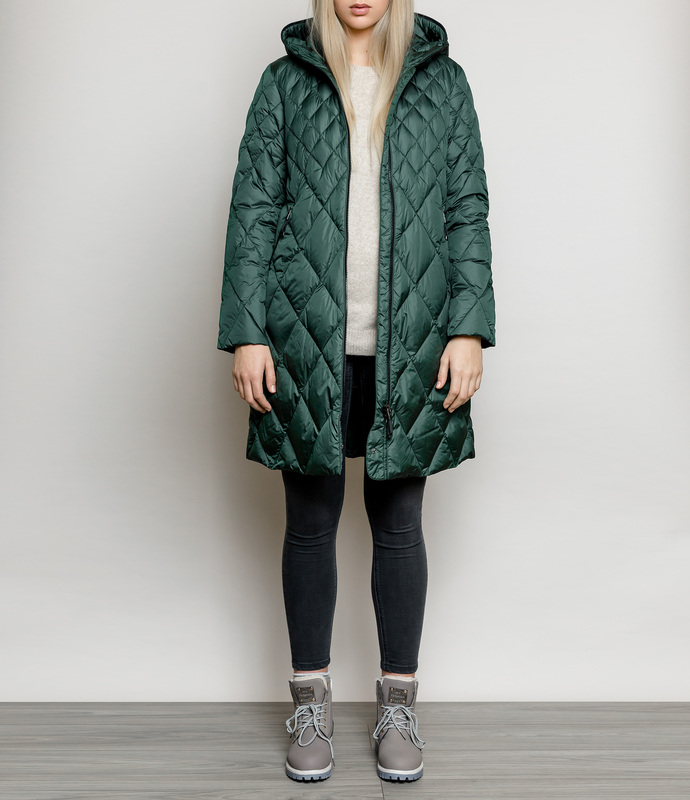 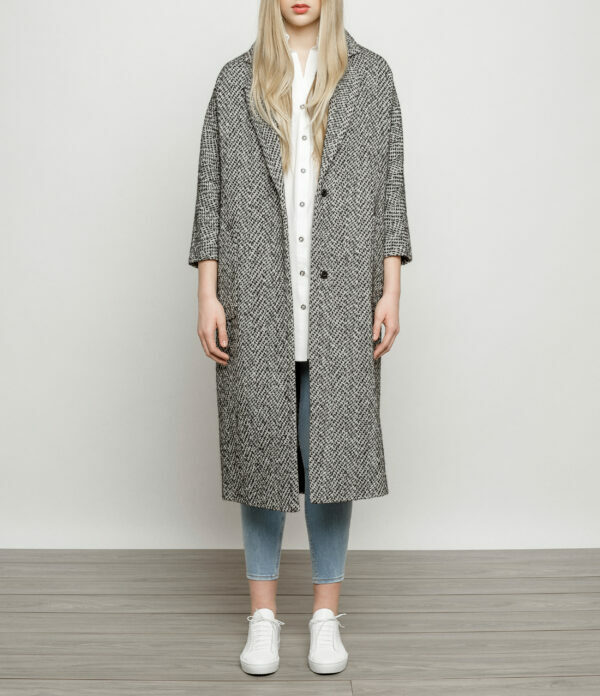 It is a timeless coat model featuring long sleeves, zip closed side pockets and two sided front zip-up. 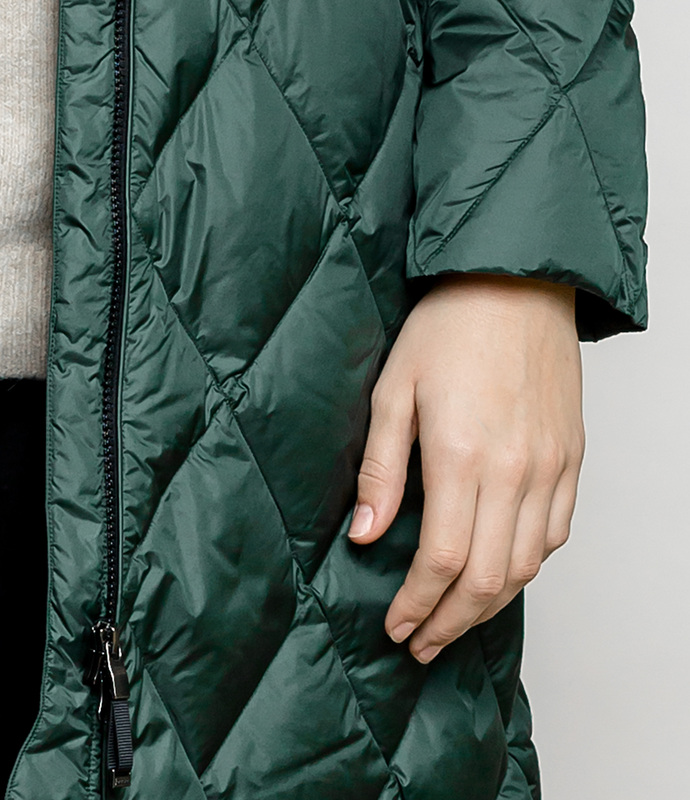 A 100% down filling makes this model exceptionally light yet warm.